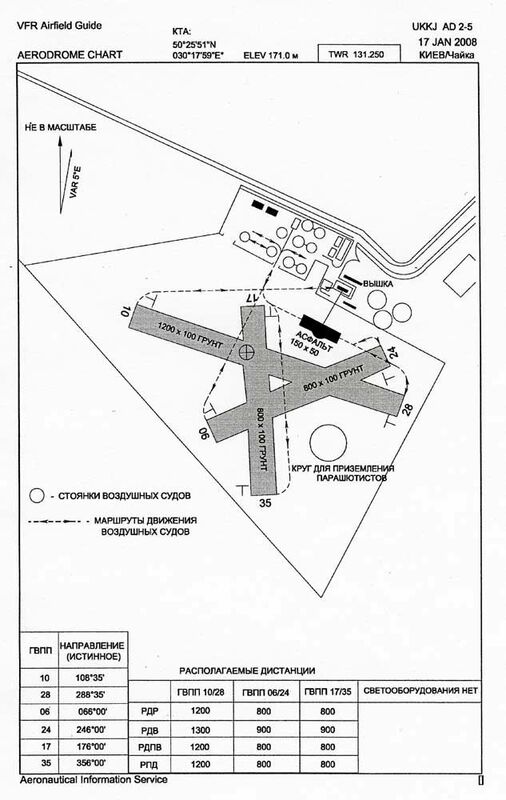 Kiev-Chaika Airfield, Ukraine. 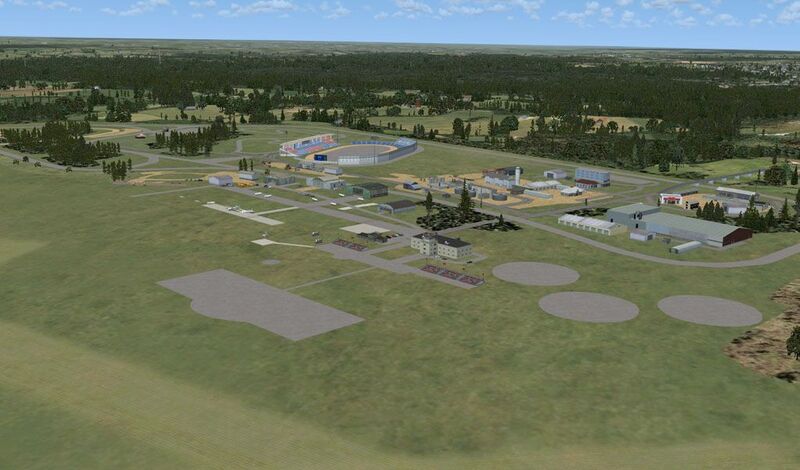 Airport and light scenery files for Kiev-Chaika Airfield (aka Kyiv Chaika Aerodrome, aka Kiev West), ICAO code UKKJ, not present by default in FSX. This airfield and sports complex is host to the Chaika Air Club, regularly hosts drifting and sport bike events, and has even been used for a mass by Pope John Paul II. 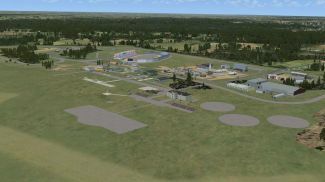 Airfield, race courses, and enclosed industrial area all modeled, using default buildings and a few custom ground textures. By Chris Thompson. Overhead view of Kiev-Chaika Airfield Scenery during the summer. 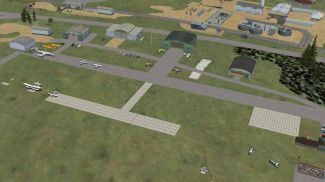 Thank you for downloading this scenery package for Kiev-Chaika Airfield, aka Kiev Chaika Aerodrome or "Kiev West," ICAO code UKKJ. 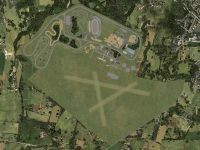 This airfield and sports complex is host to the Chaika Air Club, regularly hosts drifitng and sport bike events, and has even been used for a mass by Pope John Paul II. 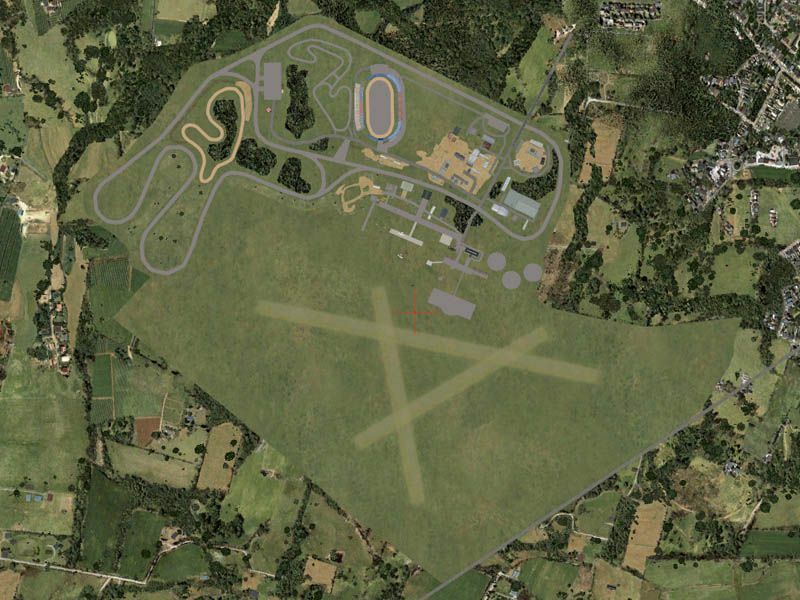 This package includes the airfield, including the race course and the enclosed industrial area. 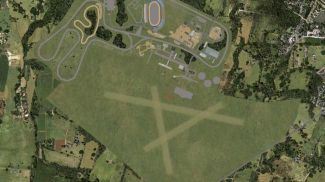 It uses default buildings and scenery items, with the exception of a couple custom ground textures for the concrete aprons, the on-grass parking, and as covers for the helipads that are marked by default. 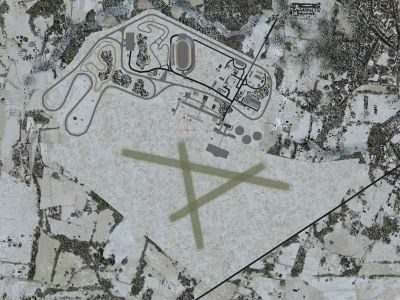 It also includes an EditVoicePack X modification for the airfield name ("Chaika"). 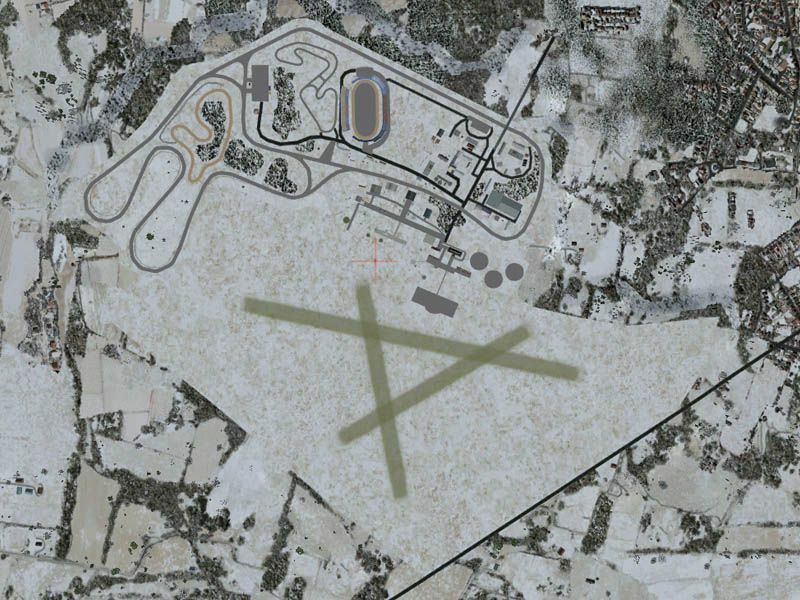 Very Sparse: Runways, aprons (including racetracks), tower buildings, helipad cover textures. 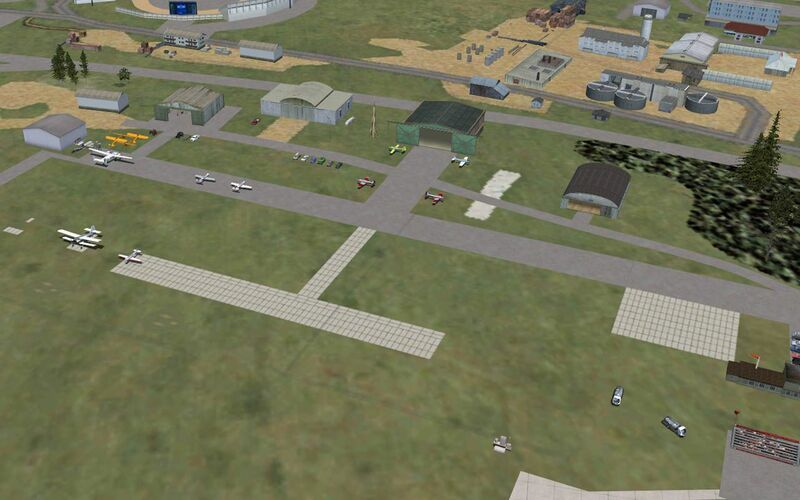 Sparse: Hangars, An-2 parking textures. Normal: Airport wall, grandstands, oval track seating, racetrack tents, bridge into industrial area. 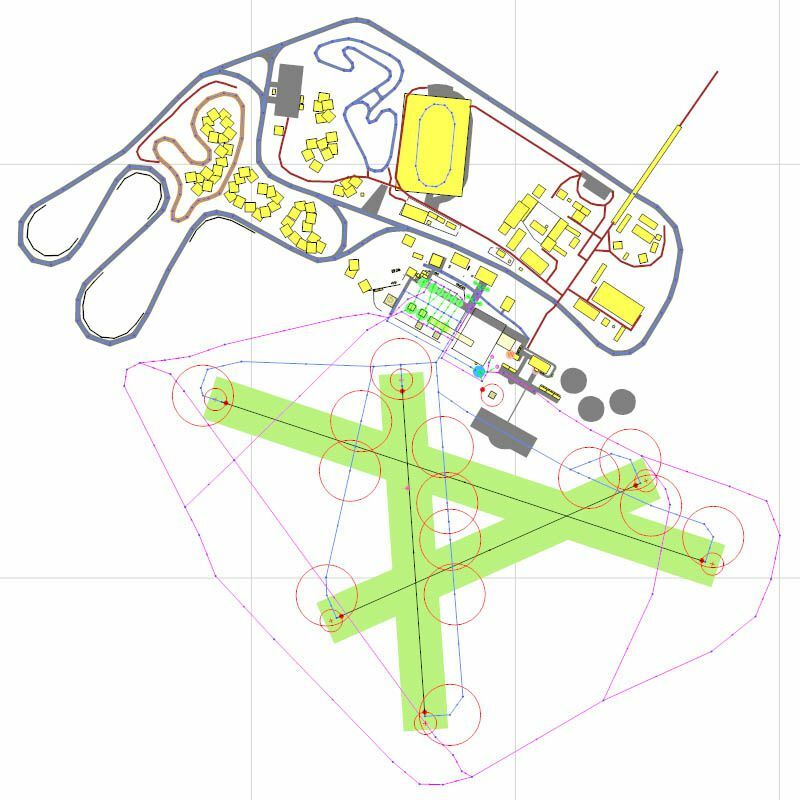 Dense: Additional trees, major airport decorative items, tower parking. Very Dense: Buildings in industrial area, minor decorative items in all areas, racetrack barricades. I made this airport solely to provide a home for the great Chaika Air Club files found on AvSimRus, and I heartily recommend them. 2) Copy the files contained in the "UKKJ\scenery" and "UKKJ\texture" folders to your "Addon Scenery\scenery" and "Addon Scenery\texture" folders, respectively. Copy the "Voicepack" folder from this package to a convenient location. Open EditVoicePack X, go to File>Import Modifications, and browse to the location where you saved the Voicepack folder. Open that folder, highlight the voicepack, and click "Open" (if none appear, you may need to change the "Files of type:" box to show .evpmod files). Then go to File>Update Voicepack to add the mods to your sim. Please refer to the EVPX documentation for further help. If done correctly, you should now have 4 airports in Kiev (unless you have installed other scenery). For method 1 above: Go to the Scenery Library, highlight UKKJ, and click "Delete Area." Then delete the folder from your "Addon Scenery" folder. For method 2 above: Go to Addon Scenery\scenery and all three files beginning with "UKKJ". Go to Addon Scenery\textures and delete An2SGwT.bmp, HSAwT.bmp, HSGwT.bmp, and all four textures beginning with "UKKJ". 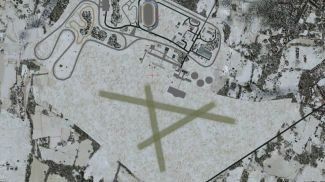 Overhead view of Kiev-Chaika Airfield Scenery during the winter. The archive fsxkievchaika.zip has 27 files and directories contained within it.